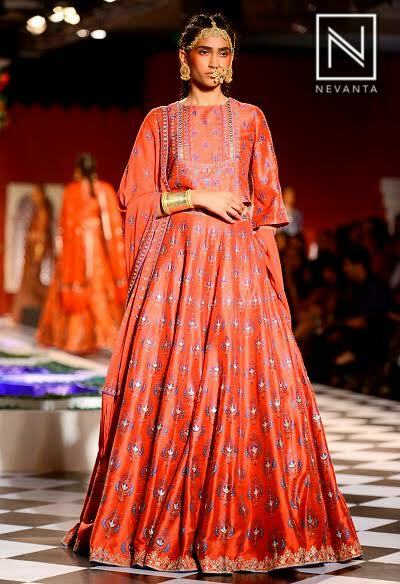 The magnificent fashion weeks that concluded in the last couple of months have set the tone for the festive and the bridal season up ahead. From minimal elegance to an extravagant celebration, the runways were replete with something for everybody and all occasions. 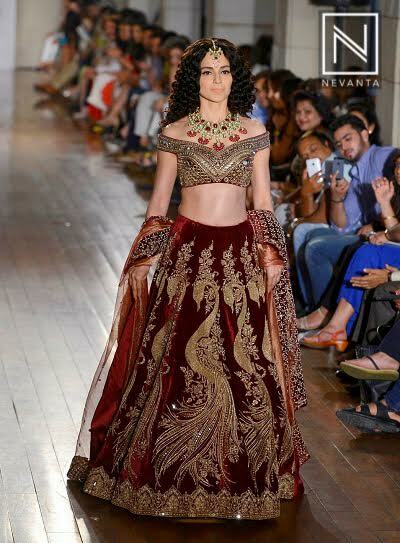 For all the brides-to-be, here are some head-turning trends of this season. A really big trend this year, cut a trendy picture and let your blouse display your slender shoulders. Team this up with a monumentally opulent skirt and launch a thousand sighs as you walk down the aisle. If you find it a bit bold for the big day, mehndi, sangeet or the reception give you plenty of opportunities to sport this look. Making a big comeback is the majestic mirror work. 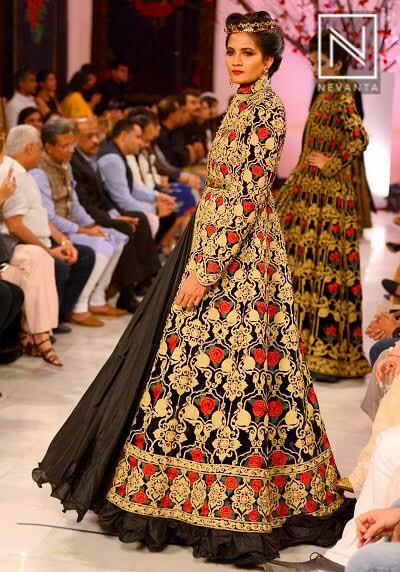 Part of a number of collections, designers have accentuated deep coloured fabrics with mirror shine, which has resulted in a dazzling array of cholies, lehengas and saaris. The focus is not just on workmanship this season, but fabrics are taking centre-stage as well. 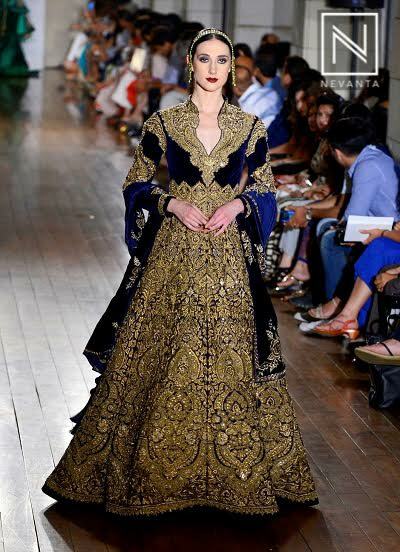 Rich, opaque and heavy – raw silk to velvet, the runways were awash in some extraordinary textile. In terms of design and motifs, there’s been a bit of a shift from the dainty and delicate. Although some designers, have delivered intricate designs but the highlights of the season remain big, statement-making designs or patterns. With much emphasis on detailing and fabrics, the overall cuts this season have been minimalistic and fuss free. Most designers have adhered to classic silhouettes, leaving much room for creativity in other departments like fabrics and embellishments.